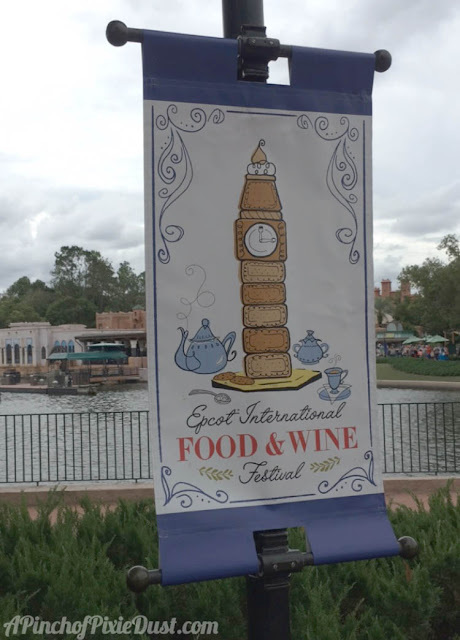 I loved the poster designs this year - Big Ben built out of tea biscuits was my fav! 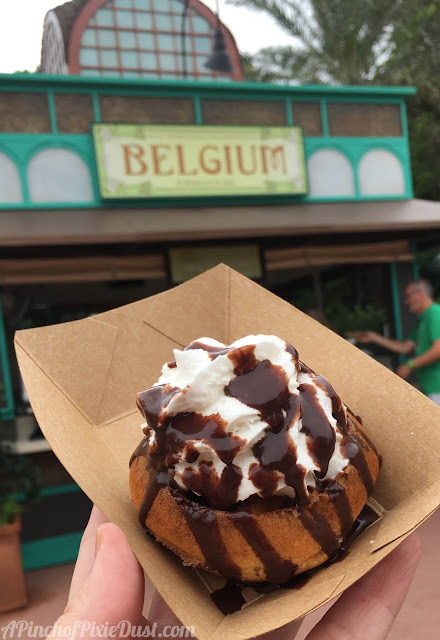 We've loved the Belgium booth in years past, and it didn't disappoint this year. This lovely little waffle was crispy and covered in whipped cream and chocolate sauce - yum! 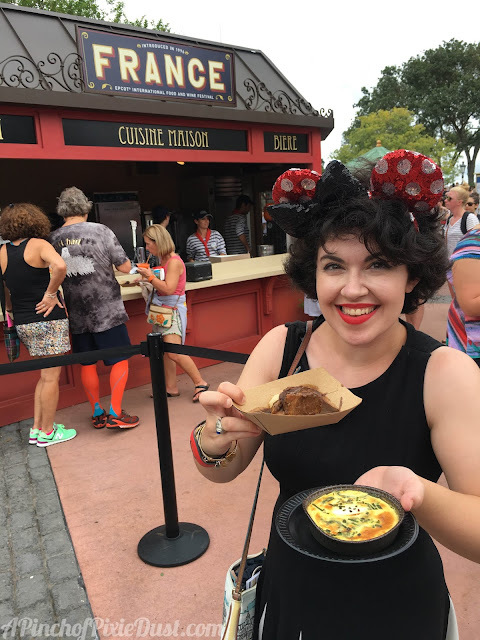 If you watched the vlog you'll also have seen the Beer-braised Beef served with Smoked Gouda Mashed Potatoes which was fantastic. 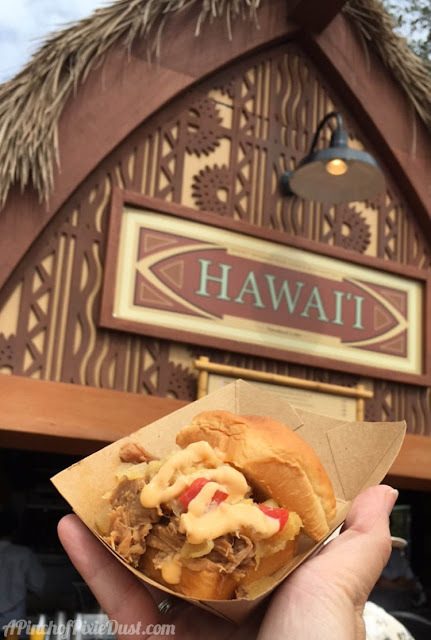 We stacked the Belgium beef against the France booth's Cabernet Sauvignon Braised Beef with Mashed Potato. Athos went with France, but I liked the Belgium beef better. The Warm Goat Cheese Pudding with Spinach from France was also lovely - a little like a quiche but extra cheesy! 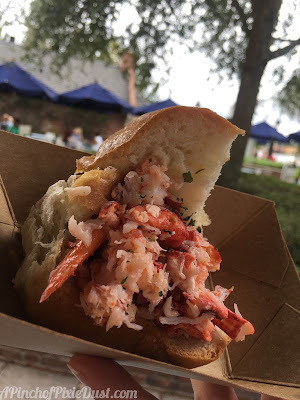 We sampled two items from the Hops & Barley booth at the American Adventure: the New England Lobster Roll (on the right) was good enough, but I thought it wasn't quite worth the price. 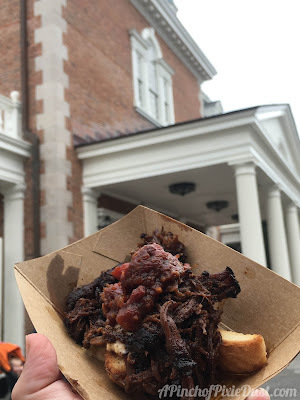 The Smoked Beef Brisket and Pimento Cheese served on Griddled Garlic Toast on the other hand was AMAZING! 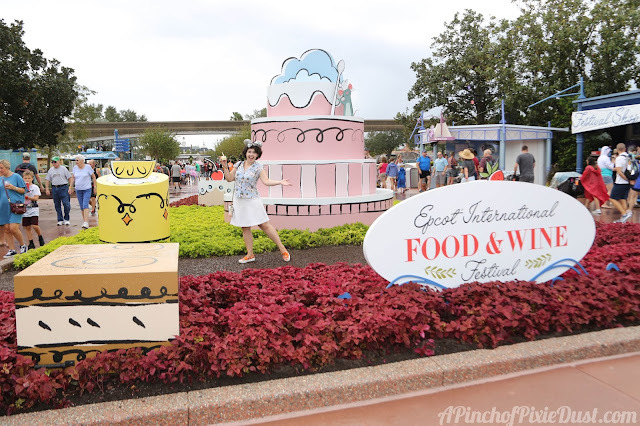 I wouldn't have guessed I would love this so much, but I just loved the flavors. We even have tried to recreate the dish at home! 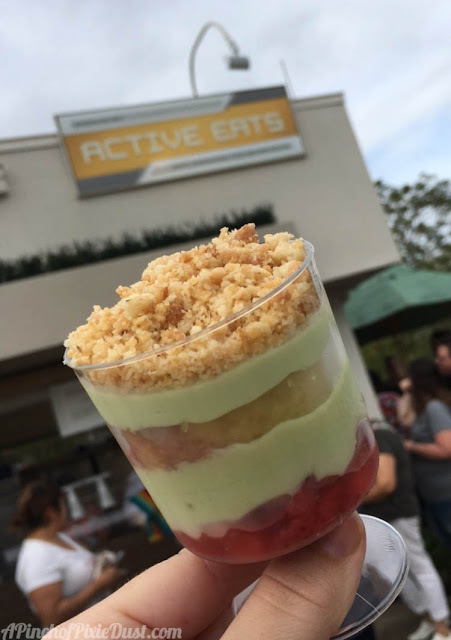 On the dessert front, I loved the Sweet Avocado Crema with Strawberries, Yellow Cake and Tortilla Streusel. It was such an unexpected mix of ingredients, flavors, and textures but it all worked deliciously together! 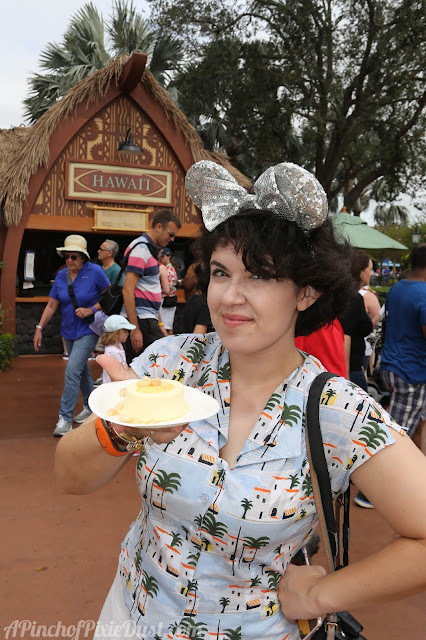 ...the Passion Fruit Cheesecake with Toasted Macadamia Nuts! Unfortunately it didn't quite live up to expectations - it was nice, but I would've liked a stronger passion fruit taste. 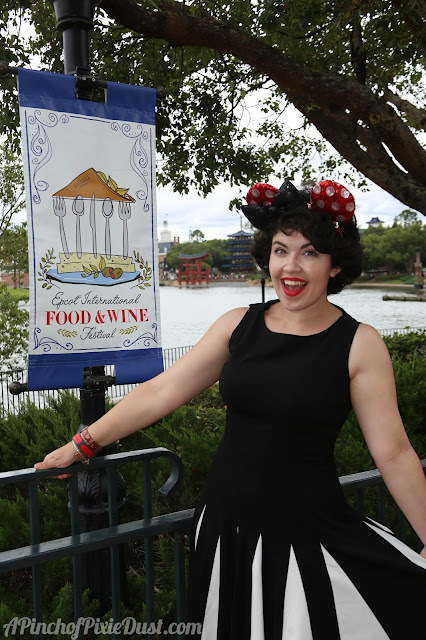 What were YOUR favorite Food & Wine eats this year?